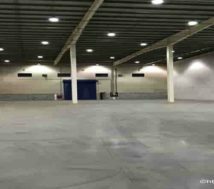 Chilled storage, Frozen storage and Dry storage space for rent. Bahrain warehouse rent. 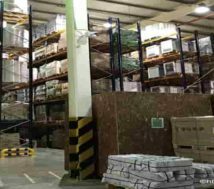 Warehouse rent as chilled storage space, frozen storage space and dry storage space. Small and large storage spaces for rent. There have pallet storage | shelving storage and flooring storage. Besides, there have inventory management services as well. For example, loading | unloading | fixing label or tag | bundling | bar coding | sealing the pallet | wrapping and many more other services. Bahrain warehouse rent in different types. 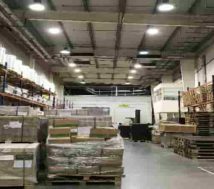 Indeed, this warehouse storage space is good for different types of storage systems. That is to say that there have dry storage space | chocolate storage space | chilled storage space and frozen storage space. In other words, there have space for different types of products such as food | medicine | materials and furniture. In addition there have normal warehouses in low rent. Normal pallet dimension is 1 x 1.2 x 1.5 = 1.8 Cubic Meter and 2.1 = 2.52 CBM. Dry pallet storage in +24 degree centigrade. Chocolate storage in +16 centigrade. Frozen storage in minus (-) 18 centigrade. The rent rate for the above Pallet storage is Bahrain Dinar 1.200 to 2.700. However the minimum rent is applicable on 1.8 CBM. Indeed, the rent is negotiable subject to area occupied. The normal flooring storage dimension is 1 L x 1 W x 3 H. Indeed, there have option for outside temperature | non a/c and twenty four degree centigrade as well. The rent is in the range of BHD 1.700 to 4.5 which is the best offer in Bahrain. Of course, the rent is negotiable for large area. 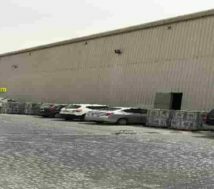 In conclusion, this warehouse is good for small | medium and large companies and a good choice from Sams Properties, Bahrain.